SAI International College of Commerce (SICC) was established in the year 2011 to bring in a new dimension to Commerce education in the State. It is affiliated to Utkal University and offers an Honours Degree at the Undergraduate level in Accountancy and Management. 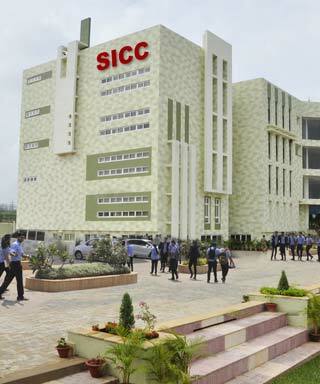 SICC is the first International College of Commerce in the State to bring in a Global perspective to education by offering strategic collaborative alliance with prestigious Commerce Universities from round the Globe. The college offers quality education and focuses on rigorous learning through lectures, seminars and case study analysis. The campus provides ample opportunities for students to excel in scholastic and co-scholastic activities with a focus on enhancing leadership qualities, developing interpersonal skills, building self esteem and pro-active approach, creating wisdom and understanding as well as promoting ethical behavior among the students. In a short span, SICC developed into a perfect platform for learning, under the active mentorship of former Principal of SRCC, Dr. P C Jain and the dynamic leadership of CA. Dr. Bijaya Kumar Sahoo. Besides this, the opportunity to interact with renowned educational professionals and entrepreneurs from across the globe enables the students to obtain a rich and wide array of exposure on the latest developments, innovations, research and social change. This helps them to chalk out a better future for themselves as well as contribute towards the growth of the nation. The College re-affirms its commitment of creating opportunities for meritorious students in the country and rendering quality education for commerce students, at the under-graduate level, with an endeavor to make Odisha the most sought-after destination for Commerce education.